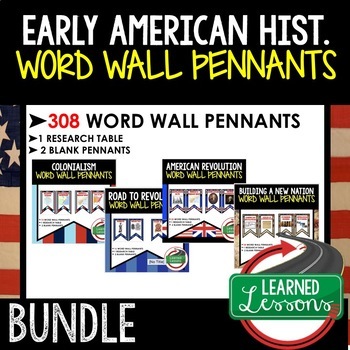 This WESTERN EXPANSION, GROWTH OF A NATION, MANIFEST DESTINY, INDUSTRIAL REVOLUTION BUNDLE (AMERICAN HISTORY BUNDLE)will includeEVERYTHING you will need to plan for an engaging UNIT in your US HISTORY classroom! As the end of the year and summer approach, I will be adding ACTIVITIES to this bundle. AND PART OF WESTERN EXPANSION BUNDLE. 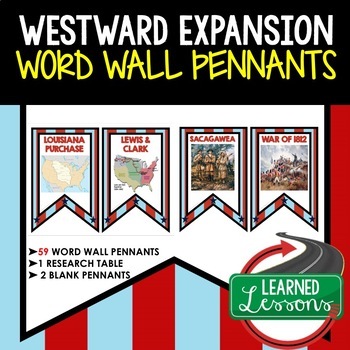 This is a Western Expansion Word Wall Set that has 59 words included. Buy now and save $$$.